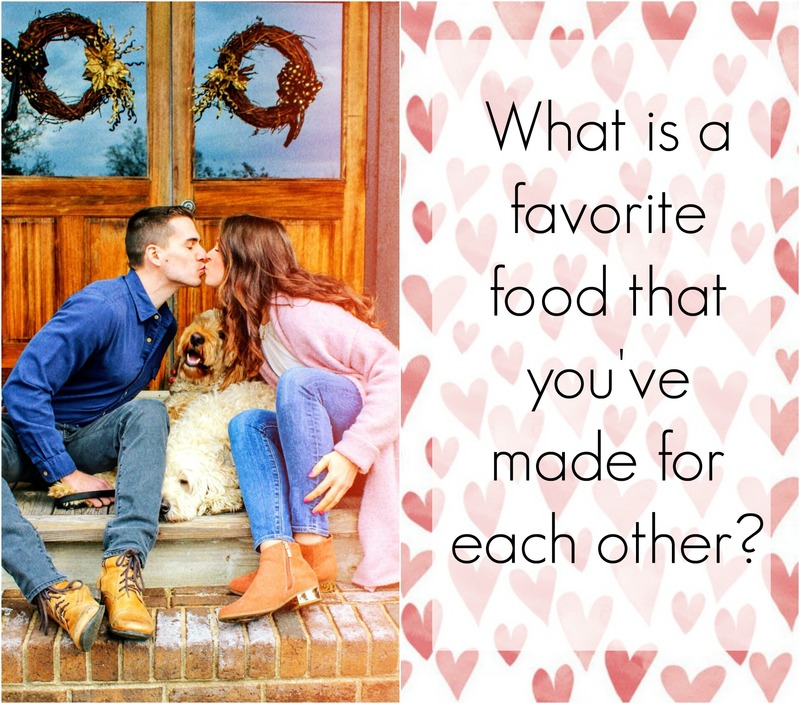 Visit this Instagram picture, tag your Valentine/Galentine, and comment your favorite thing about them! 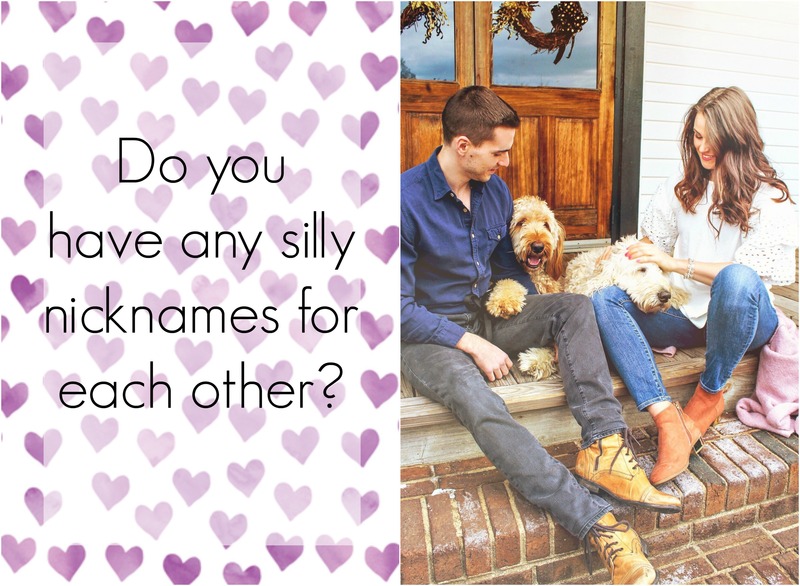 you can enter as many times as you’d like, because I know we have more than one special Valentine/Galentine! 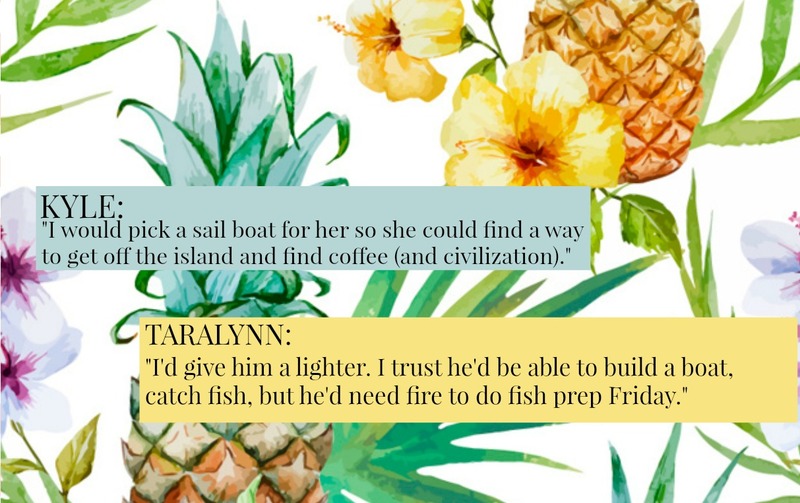 Nothing made me happier than reading that you guys love dateline lol I’m OBSESSED! Thank you, Amanda! He really does bring out the best of me! Love this!!! Finally read it!! My husband is definitely my Valentine. We met when I was trying to set him up with my best friend who had a crush on him. I was 16 and 26 years later we are still in love. Hi Tara, Happy Valentines Day! 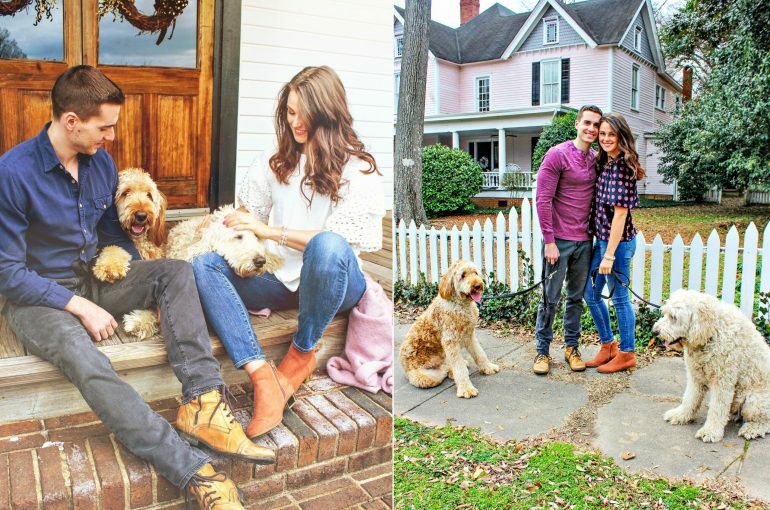 My Valentine and I might move to Charlotte. I think you posted something about the hot spots in Charlotte, would you mind linking me there? Thanks a million! I still need to update it! I love that both of you have a parent that is a twin! I’m not sure how that works but I wonder if that means you guys would have twins if you decided to have kids! My Valentine is of course my husband and we were friends for almost 10 years before we started dating, I never would have thought back then that we’d end up together. Also we love road trips, we want to see all 50 states before we’re 50 I’ve got 20 years lol and I we went to 9 just last year! Road trips are a blast we drove from Seal Beach California all the way to Devils Tower Wyoming and even to Mount Rushmore, we don’t have a dog anymore (passed away) but I loved road trips for that reason that we could bring her. Awww I love your love story! I loved the dress you posted on your IG story. Where was it from? This was the best post! My husband and I have never argued either. People always think we are lying when it get’s brought up! My parents were the same way. Thanks for the Valentine’s day post. My husband similarly does the paper towel thing. I truly don’t get it. I probably never will 🙂 Thanks again for sharing!! Hahaha maybe they just feel bad about using them and want to get all the use out of them! lol not clue! Hahahaha we are always playing pranks on each other. I kind of learned my lesson though because after scaring Kyle multiple times, he decided to get me back by hiding under the bed and grabbing my ankle when I walked by it. IT WAS TERRIFYING, but I had to give it to him! lol It was good. 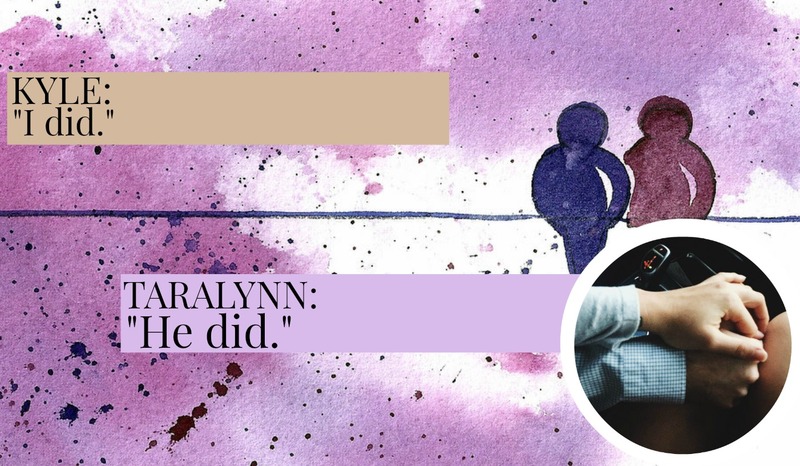 TaraLynn, This has to be my favorite post of yours! 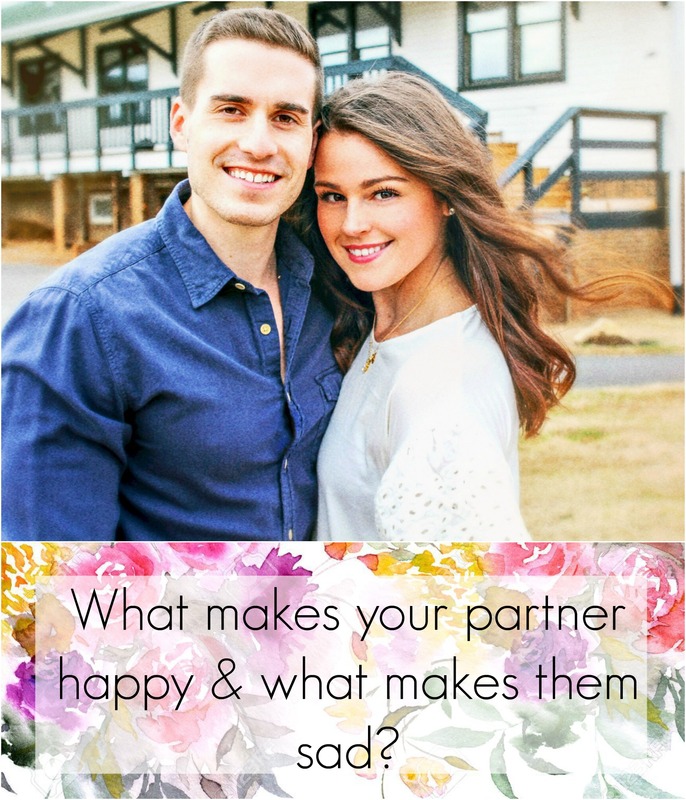 I’ve followed you for many years and seeing you happy and in love looks great on you! 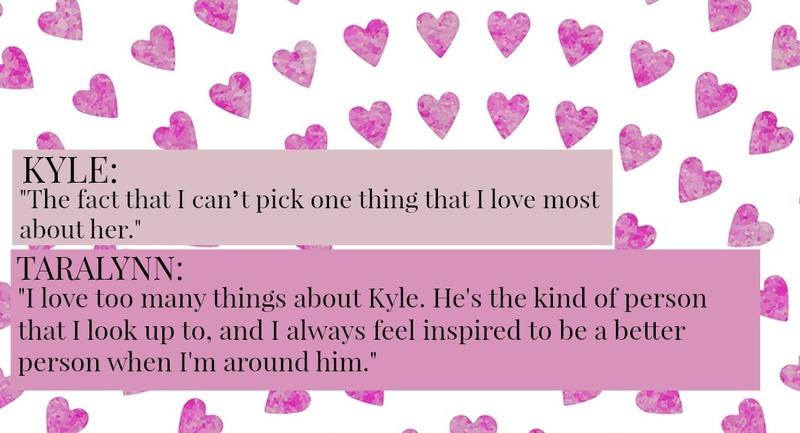 You and Kyle are definitely meant for each other…consider yourselves VERY BLESSED! 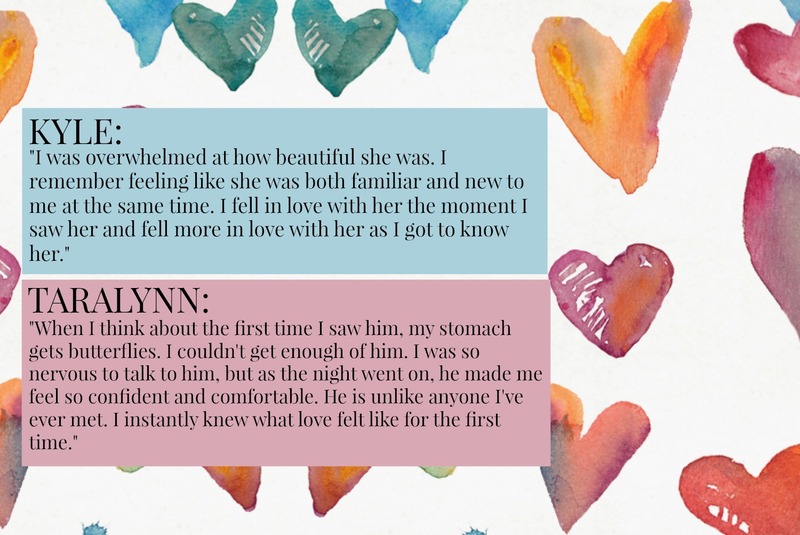 Thanks for sharing your and Kyle’s beautiful “love story”. Thank you so much, Rhonda!!!! You guys are so incredibly cute!! Loved this post!! My Valentine is my husband, Scott. A fun fact…. I fell in love with him on the phone before I even seen him in person. We worked for the same company but different buildings and he had to call me for work and we would end up talking. I had to ask someone to point him out for me so I knew who I was talking to! That is adorable! Sounds like something out of a movie!!! 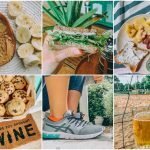 Love love love love love this blog post! Love this! I remember the first time you posted about Kyle on the blog. So happy for you! AWWWW! How cute! I can relate to many of those things! 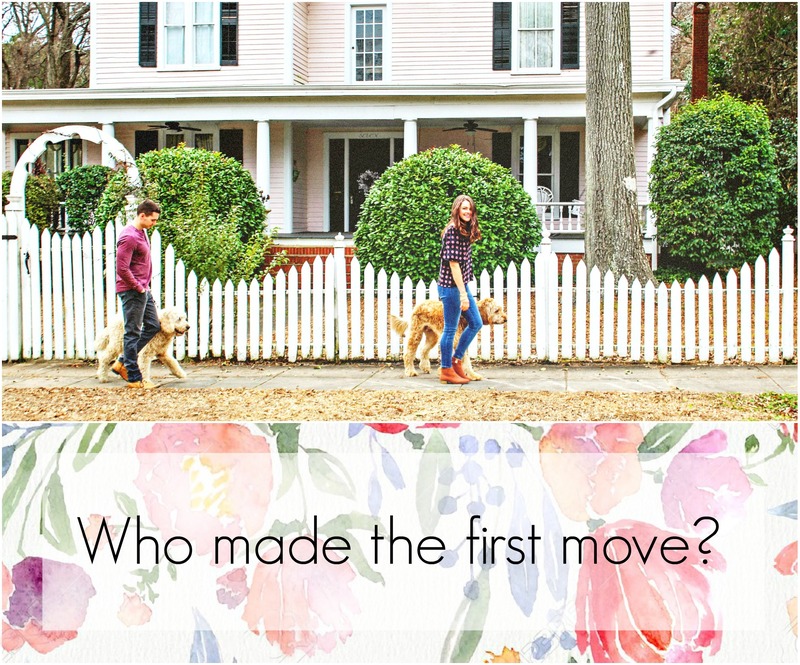 Pro tip: to avoid stealing all of the blankets, my husband and I choose to use separate blankets! I love it because I have a super thick fluffy warm blanket and he has a very thin one since he’s always hot. I can’t believe you don’t use emojis! I love using them! 😂 I probably over use them… haha! I’d highly recommend a road trip across the states! Our country is so beautiful! 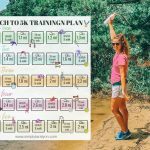 I’ve been to 47 States and I want to go all 50 before my 30th Birthday! (I still have 2 years so it’s doable!) Do a New England road trip in the fall… there’s nothing more beautiful than driving under a deciduous forest tree canopy in the fall! 😍 Utah has some absolutely beautiful national parks! The red rock formations and Grand Canyon are unlike anything I’ve seen! So beautiful! You said you don’t plan on staying in Charlotte forever? Do you see yourself coming back to Iowa? Where did your parents meet in Italy?! I lived in Vicenza for a few months, what a beautiful country! All in all, I’ve followed your blog for many years and it’s evident how happy you are now. I love seeing the joy in your life! Lol we have two comforters and two throw blankets, but I still end up just taking them. WHOOPS. Selfish sleeper. Yes that is exactly what we want to do one day! No no no , never going back to Iowa lol I really want to stay on the East coast! Thanks for the kind words, Rachel!!! Gahhhh I loved this so much! 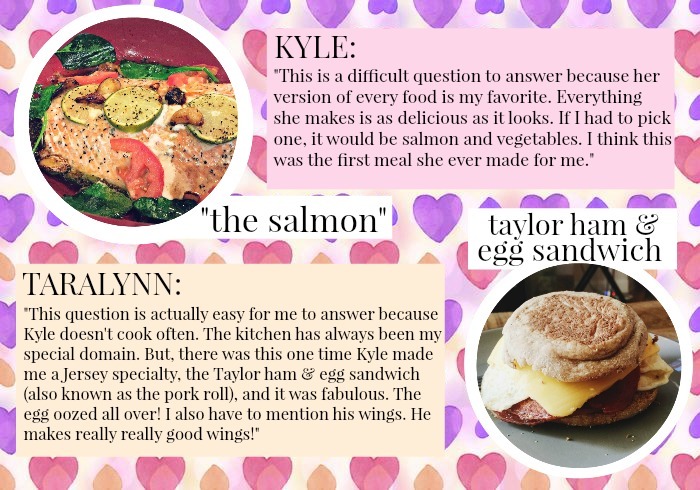 You guys are so sweet to each other and I LOVED Kyle’s comment about communication. That’s the #1 thing that has kept Ben and I going after 10 years! BEN is my Valentine 🙂 and I don’t see a change in that ever! You’re right. Communication with him is so easy and that’s how it should be! I never feel as if I can’t say something. He’s just the best! That is so cute!!! Love that! My Valentine is and always will be my hubby of almost 25 years! We’ve been together more than not, high school sweethearts! 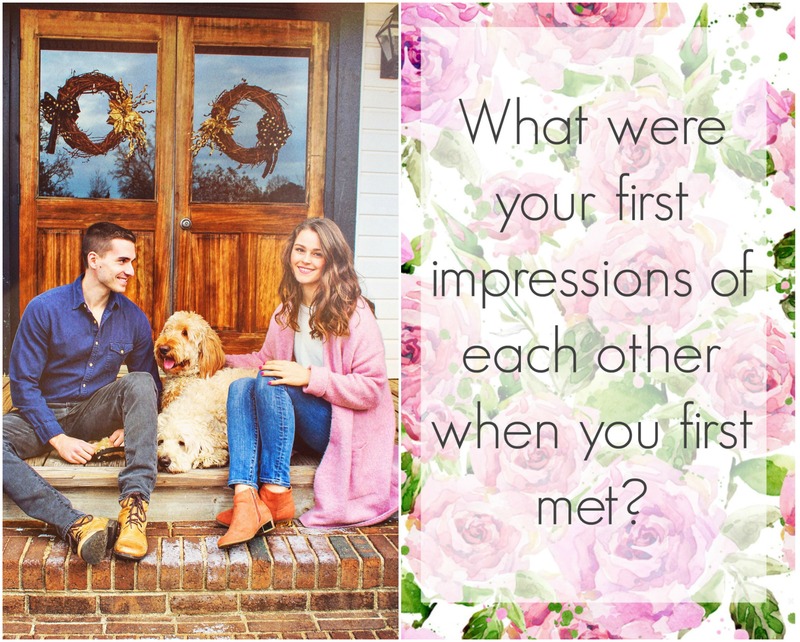 ❤️ I felt the way about my hubby that Kyle did about you when you had your first impression! I knew we’d be together forever! Love the positive vibes you give to each other! xo xo xo Have a great week! I love that you described him as sincere. 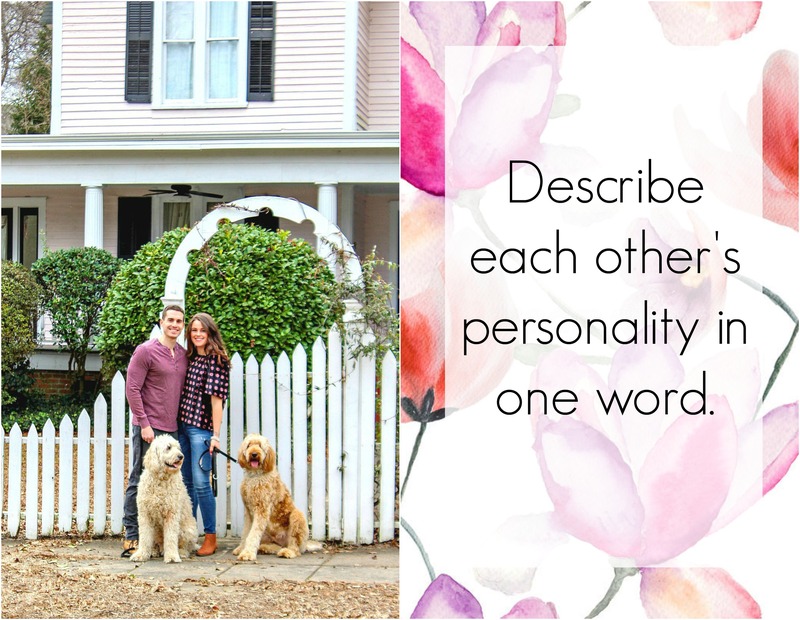 It makes everything he answered about you a lot less cheesy and more…well…sincere. 🙂 I’d say the world needs more sincerity. My husband and I have such an easy relationship too. There have never been doubts about it, for either of us. We got married at 18(me) and 22(him). And this summer will be 7 years. He really is the most sincere person I know, and I just wish everyone could know him the way I do! Your parents met in Italy? Are they Italian? Oh my gosh this is such a cute idea! Love it! My valentine is my husband Mike. Were keeping it low key this year since he’s on call, renting a movie and getting heart shaped steaks to grill! Sounds like the ideal Valentine’s day! No emojis? I think 25% of all my texts to anyone are just emojis. Do you use them with other people or not at all? How interesting about your grandpa’s being cops – my husband is one. And I have to laugh at the nicknames. He calls me punk – but we also have alter egos, Morty & Marjorie, which is exactly who I’m sure we’ll be in 40 years. Crotchety old folks. Haha. 2. Hmm, fun fact. We met on a dating site – but I was actually good friends with his cousin in college + another one of his cousins works with me, and did all of my job training. We also really aren’t big on texting each other – so I often have to go searching for him in my texts. Or it’ll just be him asking each night what is for dinner. Haha. Lol! I use emojis like it’s my job!!!! but I realized the second month of us dating, we had used ZERO emojis!!! lol mainly because Kyle’s never used them, so it’s been kind of like a joke between us, but we just don’t use them now. But all of my friends and I are pure emojis!! hahahahahahahaha yes!! love it! You should get dogs/or cats and name them that. lol that’s funny. Kyle and I dont talk on the phone much, but since we don’t live together and don’t see each other on the weekdays (unless rarity) we text during the day. Normally photos of the dogs and funny memes. Your hair looks pretty in these photos. What do you use to curl it? This was really stinking sweet. Yay love. This has to be my favorite post of yours! What does Kyle do for work? I don’t mind sharing fun little things about Kyle and I’s relationship, but I just want to keep his professional life private! 🙂 Hope you understand! I loved this post, how fun! My fiance and I have never argued either. We have dated for 5yrs and bought our first home together last summer so it’s definitely not for lack of opportinity (haha). Sure we’ve gotten frustrated or annoyed with each other, or disagreed about things, but we have never had any kind of real fight. People look at me like I have two heads when I tell them that but it’s the truth! Will you be my Valentine? 🙂 these photos are so nicely edited, what did you use to make them? Loved this post! I’ve been following your blogs for years and I’m truly inspired in all that you have accomplished. Bravo! I met my Valentine 15 years ago working at a movie theatre together. He has never been the romantic type but a few times a year he’ll surprise me with something wonderful! 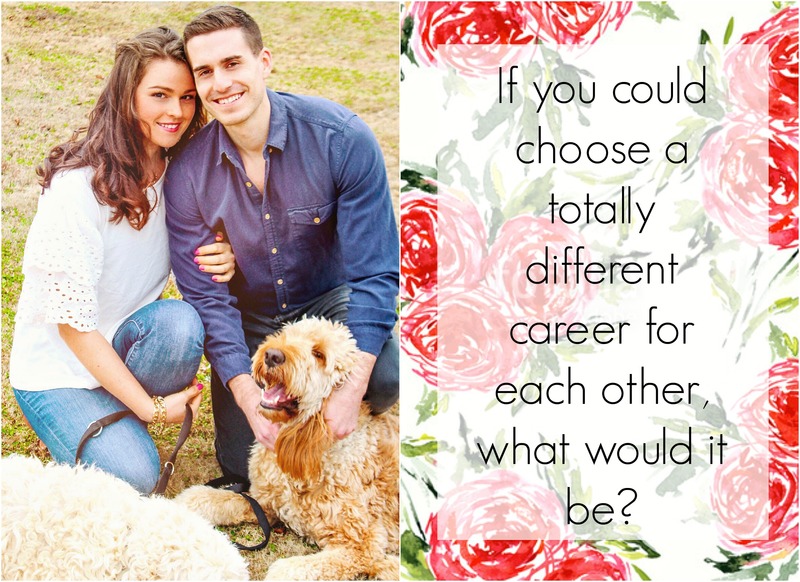 Now, married for almost 8 years and have 3 beautiful boys, we barely have time for “us” as a couple… something we need to work on, but he is the love of my life and the man by my side and I wouldn’t have it any other way! Love your love story! That is so cute! 🙂 Congrats on your beautiful family! <3 so happy for you! How sweet! This was such a happy post. Made my day. I also don’t have instagram, but I’d love to enter! I’ll count this as an entry! 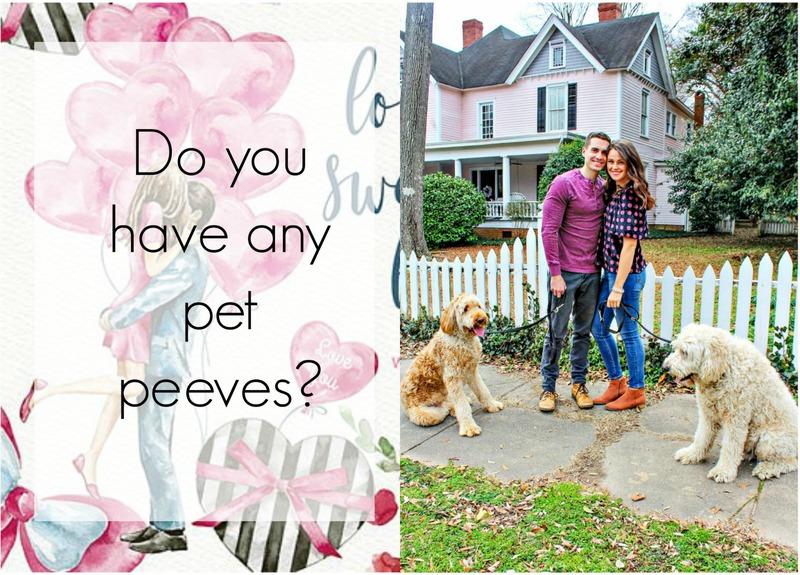 My valentine is my hubby who is just as obsessed with our dogs as I am! Lol how can you not be obsessed with your dogs?! okay i have to admit i totally do the paper towel thing too! 😂 it’s to reuse them later, right? it seems like a waste to throw away a barely-used paper towel, and it could come in handy later for little spills…at least that’s how i am. if this is you too kyle, i get it man. i get it. Hahaha yes, he does re-use them. MOST OF THE TIME. Love the post, not going to lie I teared up during it… I’m a sucker for this stuff. Love that! 🙂 Happy Valentine’s day to you!! A fun fact is that my Valentine and I just got engaged last week! We’ve been together for 9 years , and made it through parts of college, four jobs, three moves and two states , and are even more in love than we were when we first met! I never really wanted to get married or plan a wedding or do any of that, but now that we’re engaged, everything suddenly changed. I can’t wait to marry him! 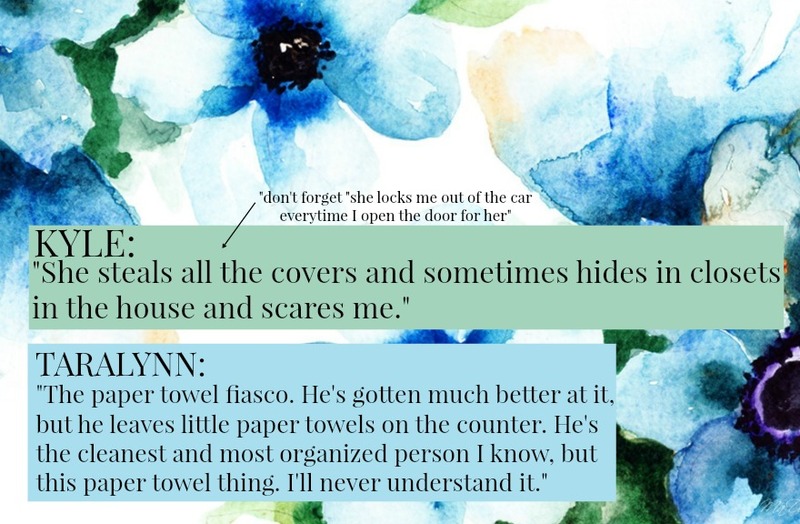 The paper towels on the counter made me laugh, I am guilty of doing that and it drives my husband crazy haha! You two are thee cutest! 1. Well, I have a couple. 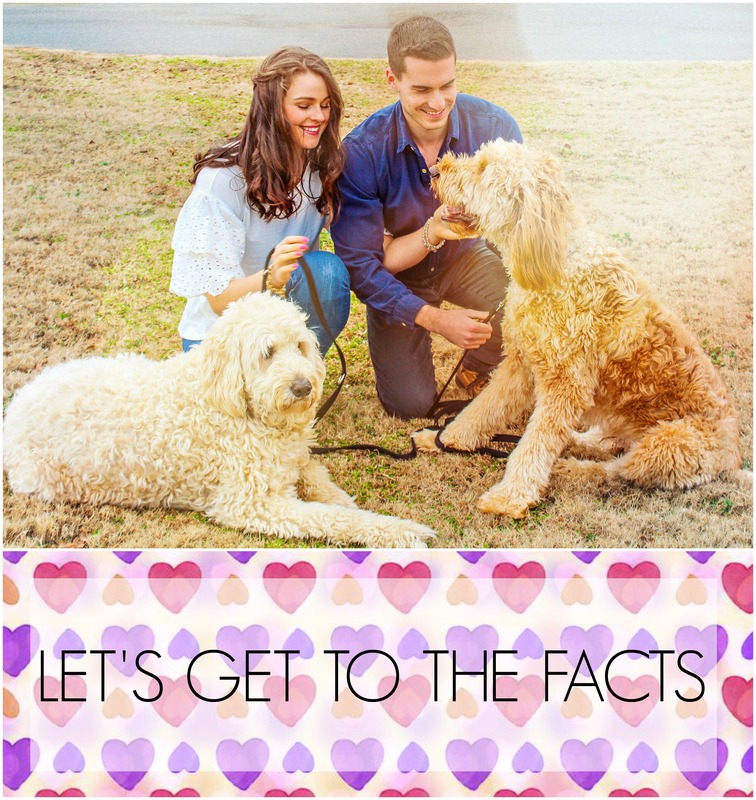 My husband is my Valentine, but I also have my loves, my daughter, Addison and my pup, Finn. 1. 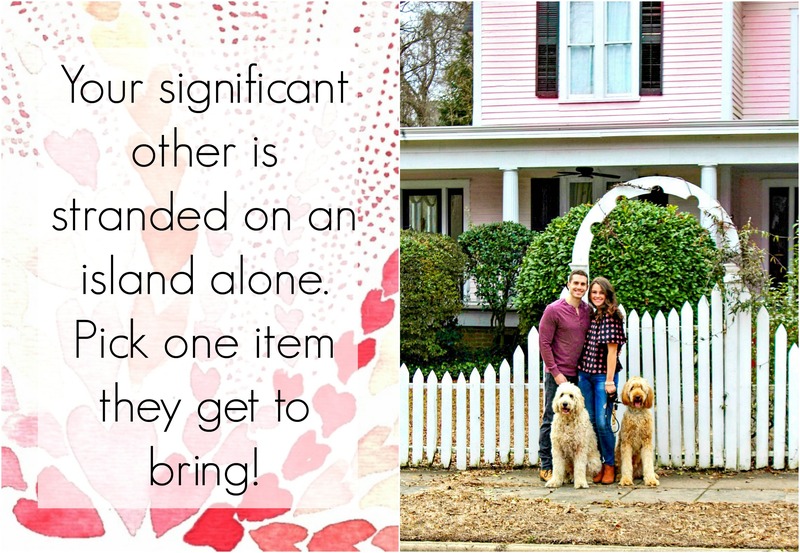 Sounds like you have the perfect bundle of Valentine’s! 2. I love that 🙂 He knew he loved you! Awww!! You two are the cutest! No doubt you two were put on this earth for each other…Happy Valentine’s Day! My Valentine is my husband of 19 years. I saw the sweetest sign at Hobby Lobby that I’m stealing for him “You have my whole heart for my whole life”. And our 3 daughters are my Galentines always! lol that is too funny!!!!! Crazy how fast 10 years goes! 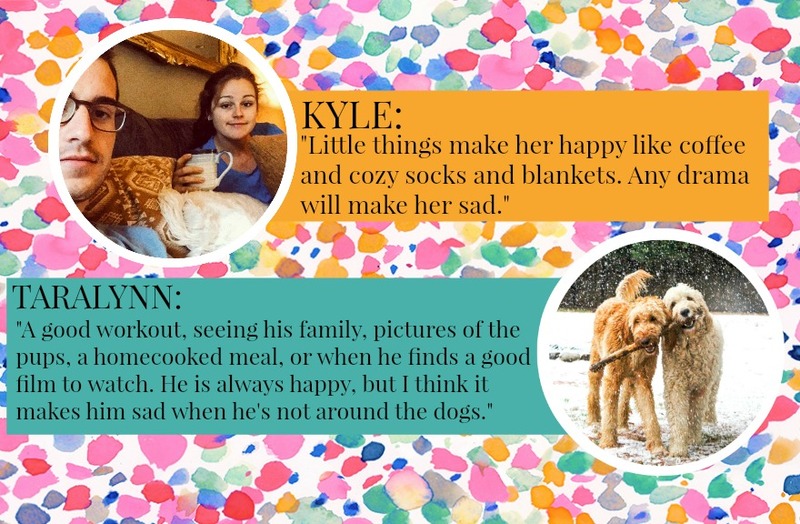 Love finding out a bit more about Kyle! He’s so mysterious. This is my first Valentines Day as a married woman and my husband is in Greece! We live in Saudi Arabia and he is chaperoning a middle school trip. So tonight I’m getting together with some friends to order food and watch a chick flick. Can’t really complain! Thanks to you and Kyle for sharing with us. Awwww he’s in Greece?! Wow! 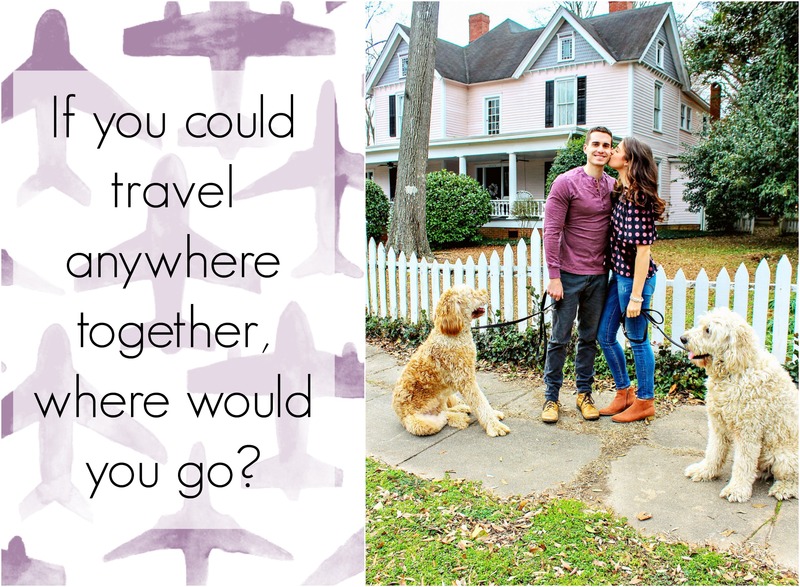 Sounds like you guys are so adventurous! xo xo Enjoy your day with your friends! Such a sweet post 💕. You make a great couple! 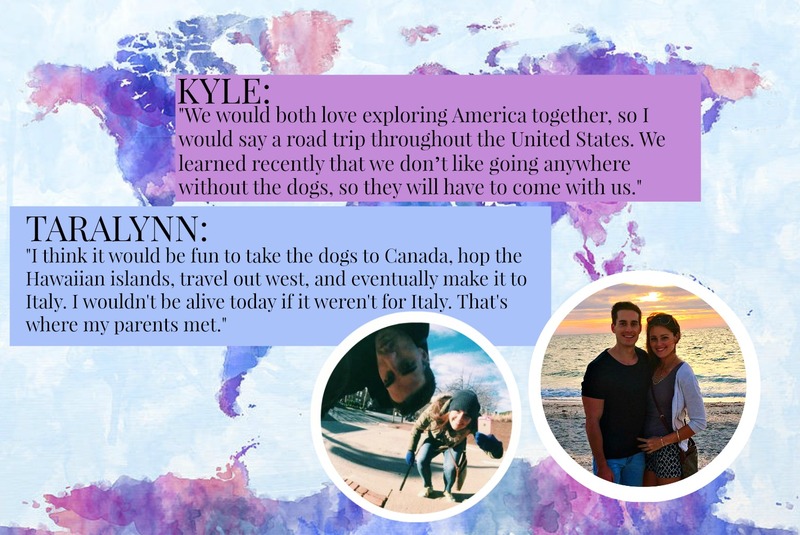 I loved the 20 facts at the end- I think it’s funny that Kyle does not drink coffee 🙂 & you both have parents that are twins! I have two Valentine’s this year- my husband Adrian & our almost 2 month old son Jack! Fun facts- 1) 3 years ago I got a Valentines Day shout out from Adrian on The Ellen Show while he was deployed in the military. 2) Our son Jack’s due date was December 25th (Christmas baby!) although he was actually born on December 17th. Awwww congrats on little Jack!! Y’all are so cute. Kyle is handsome. I think it is great he doesn’t use social media. Leaves more time for books and movies. Y’all seem well connected. Seem to be on a good path for the future. That’s nice to see in these times. Living one day at a time. I just got a a new sign for my house last week. 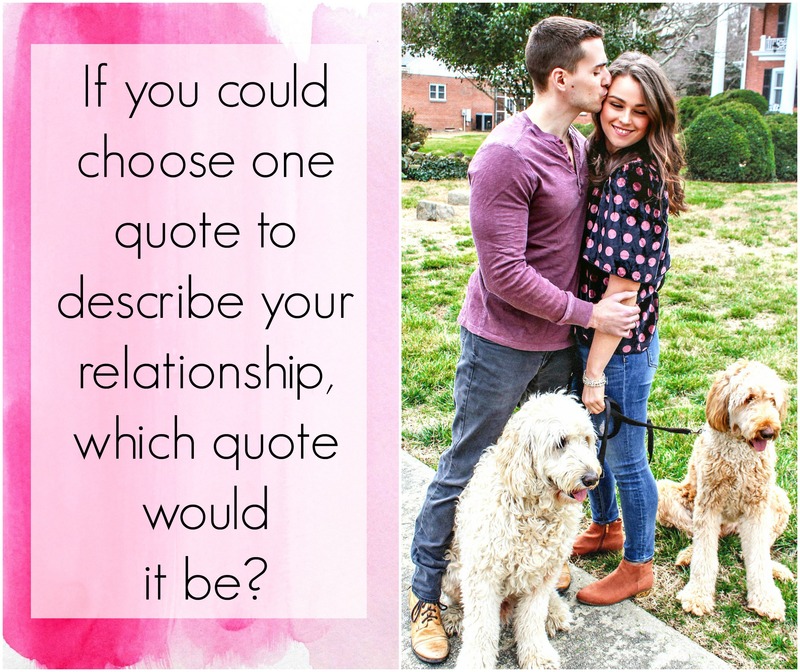 Says – “You, Me & The Dogs”. That would be perfect for y’all. Happy Valentine’s! He does love his books and movies! awWWWW love love love THAT SIGN!!! My friend Kelsey is for sure my galentine. We always laugh and have been there for eachother since high school. I love that my husband is always so thoughtful. Congrats on getting engaged! 🙂 Very exciting! I love that he has such a big heart! <3 So sweet!!!! Thanks for sharing! Hahaha I know a lot of people do with their cats!! That is so sweet! Happy Valentine’s to you and Mario! Fun fact: This year we both decided to invest in 23 & Me kits for each other's V-Day present to learn more about our heritage and health. Both sides of his family came from Italy and I'm a mix of various European countries so we're excited to see what we learn! Kyle did the 23 and Me and it’s INCREDIBLE what he found! Which Shakespeare play or sonnet is that from? It’s actually from opera Falstaff was taken from Shakespeare’s literature! 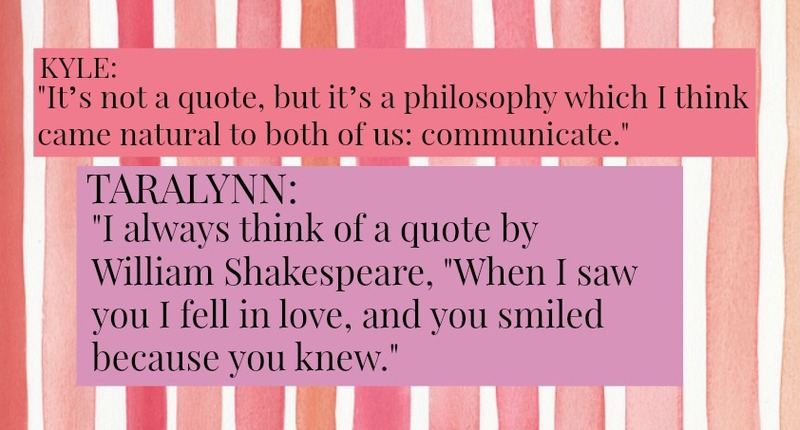 I had this conversation with Kyle last year when I put the quote on his last Valentine’s day gift! Some people give the credit to Arrigo Boito, so it’s not actually 100% for sure that it’s actually from Shakespeare. Any way to enter if we don’t have instagram?! this was really sweet! thanks for sharing! Oh my goodness I love this post!! <3 the pictures are so sweet and I love hearing how he talks about you, Taralynn. Too cute! 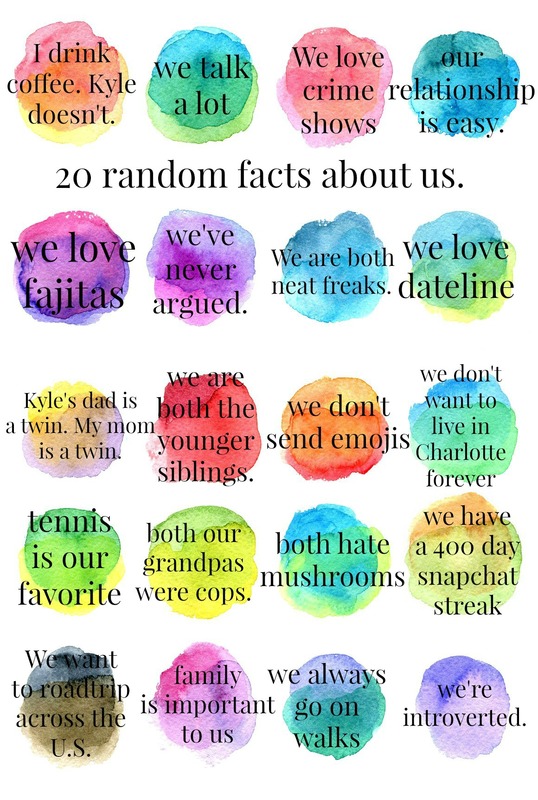 And LOL to the "we love Dateline" fact because it's one of my favorite shows too. I hope you and Kyle have a wonderful Valentine's Day! And thank you Kyle for sharing with us! Lol how can you not like Dateline! We have our popcorn ready never miss and episode!! Sounds like Dan is a keeper!!! 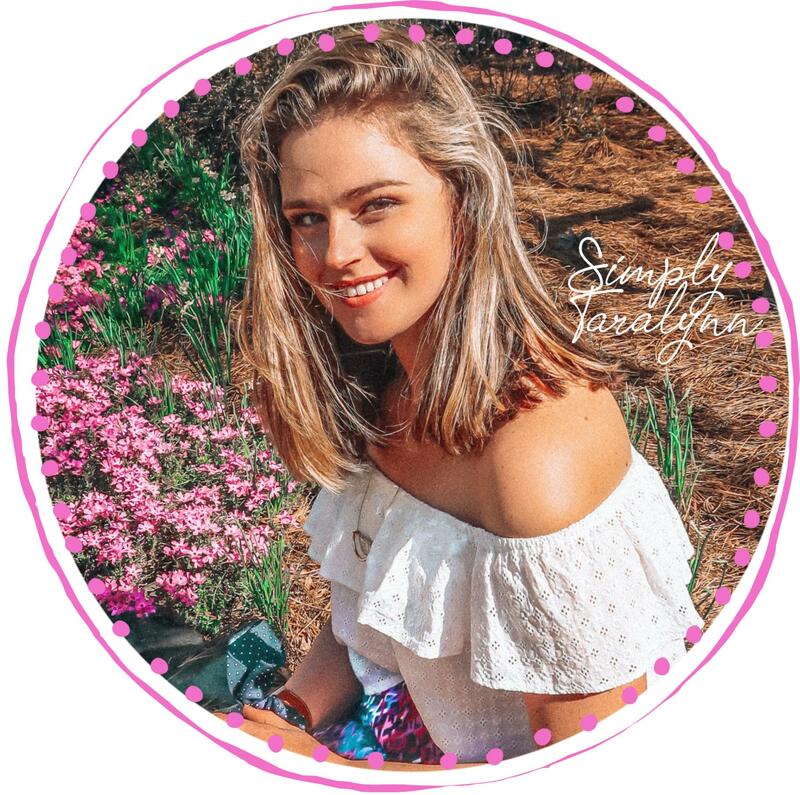 Aw this was such a fun post, I loved reading it and getting to know more about you guys! Happy Valentines Day! Okay this might be the cutest thing ever? Kyle seems so sweet. I was hoping there would be more info on how you guys met! I remember you mentioning something about it being on the riverwalk and I always wondered if he just directly came up to you (like a boss lol). Thanks so much! I thought it would be a great cheesy little Valentine’s day post 😉 It wasn’t actually at the Riverwalk. We met at Freedom Park and it was just really random. Not much of a story! We exchanged numbers and it took us about a month before we even met up. We texted a lot and then I finally got the guts to go on a date with him! Awwww! So happy to hear that Charmaine!! My Valentine is my wonderful, loving husband! And my Galentine is my older sister. I spoiled her this year and sent her flowers and chocolate covered strawberries, because I know her husband usually forgets about the little things like that. A fun fact about my Valentine is that I have known him since I was 18 and he was 23 (I’m 26 and he’s 31 now), and he was my supervisor at my first job when I worked the later shift (5-10pm). A fun fact about my Galentine is that she is expecting her first child in July! I’m going to have a nephew! 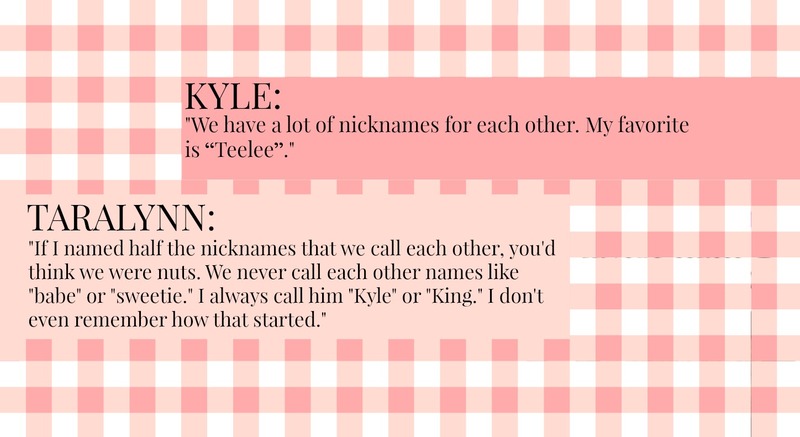 Also, I find it funny that the one nickname you have for Kyle is King! I completely understand calling your significant other a name you don’t know how it started. I have been calling my husband Chief for the past 2 years or so, and I have absolutely zero idea on why or how that started, but it’s stuck! Love it! I’d say my mom is my Galentine ALWAYS! !